The Final Four have become the last two. Monday night as the University of Connecticut and Butler go for it all on the big stage the order of the winners in Sweatshirt Blanket’s Spread Your Warmth March Madness Tournament. To the champion goes twenty customized sweatshirt blankets, while the runner up will receive ten. 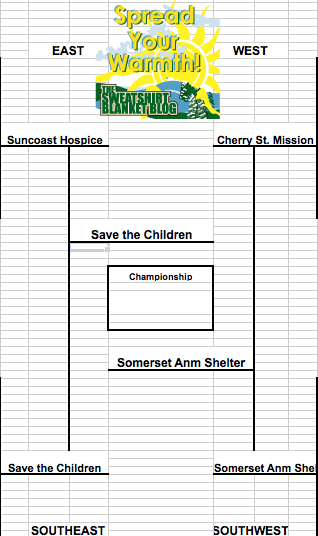 Best of luck to Save the Children and Somerset Animal Shelter in the final game. This is going to be a reat race.